For three years, Max Hart played keyboard in pop goddess Katy Perry's band, choosing to leave the gig after — oh, no big deal — sharing the stage with the notorious Left Shark in 2015 at Super Bowl XLIX in Glendale, Arizona. 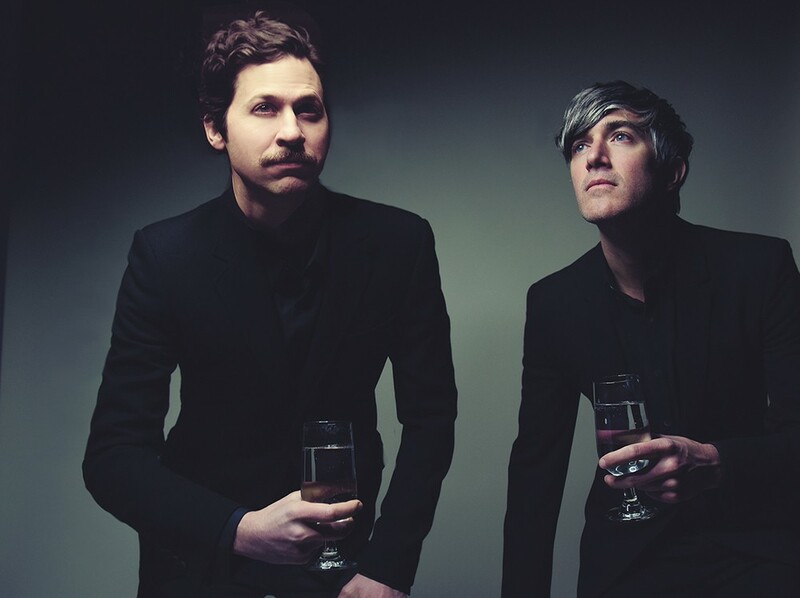 From there, Hart headed to New York City to produce Helter Seltzer, the fifth album from Brooklyn pop-rock veterans We Are Scientists, with whom he had toured in 2008 and 2009. With newfound time on his hands, Hart partnered with core Scientists Chris Cain and Keith Murray to rent a studio space, set up a bunch of gear and spent three months recording in a relaxed environment. "Coming fresh off (playing with) Katy Perry, Max was recently in touch with a world that we kind of wanted to tap with some of these songs," says Cain, bassist/vocalist for the band. "He's an amazing keyboardist and knows synth sounds back and forth." To be fair, We Are Scientists have always danced along the line between pop music and rock 'n' roll, ever since the band's breakthrough album, 2006's With Love And Squalor, paired unabashedly catchy melodies with buzzy guitars and punk energy. But on the April release Helter Seltzer, Cain and longtime musical partner Murray push farther into the pop sound-world than ever before. The opening track "Buckle" juxtaposes rumbling verses with a soaring chorus that cuts the tension like a serrated rainbow. "Hold On" starts off with a snarling post-punk vibe before opening up into a landscape of glittery synth lines and vocal harmonies straight out of the Fleetwood Mac playbook. The effect is sometimes disorienting, though not off-putting. The songs on Helter Seltzer weren't written with Hart in mind as a producer, but once Crain and Murray decided to work with their old bandmate, that pretty much pushed them into a certain stylistic direction as well, Cain says. With each of We Are Scientists' past three albums, Cain and Murray have eventually reached that fork in the road, where they must veer either toward their poppier output or their "hard rock-sounding songs," Cain says. So far, the pop songs have won every time. "That's definitely a side of ourselves that ... we've been suppressing, I guess," Cain says. The decision tends to fall to Cain. Murray is the musical wizard in the band, but he can't be objective about his own work. So Cain listens to the material and figures out the focus of each song. It's an unconventional process, but for these best buds, it has worked well for two decades.